I didn't mention it when I announced the update to the site the other day, but in addition to Night City Amalgamated and updating the link list, I also added a page dedicated to all the Cyberpunk games I have ever run or been a part of, dating all the way back to the beginning. I didn't mention it on the front page of the site, or in the announcements because its more personal, not something that anyone else outside the people I have gamed with would really find important, and I am not really sure why I felt the need to right it all up other than impulse. It was actually while I was finishing this up that Mike Pondsmith got ahold of me last week, so I thought I would share this anecdote, just a footnote really, to my experience with the game. Since 1989, I have been running or playing Cyberpunk in one for or another on an almost weekly basis. Sure there have been a few dry spells, like the first 6 months after I moved from Kansas City to NW Arkansas, or when Dungeons and Dragons 3rd edition was new and no one wanted to play anything else. But as a whole, Cyberpunk was the game that got me into gaming, it has remained my one true gaming love all these years, and even now I am involved in 3 games a week... running two and actually playing in another. Sure I play in other games as well, occasionally I even run them... but there is no game I would rather be playing or running than Cyberpunk, though we use Interlock Unlimited rules now. And since it is pretty bloody rare that I am at a shortage for excellent players, I imagine I must be doing something right when it comes to running games. Some of my friends, and several people I know online aren't as tied down as I am, one game to them is much like any other. One of my other friends, one of my oldest gaming friends in fact, has what I like to refer to as Gamer ADD. He is always on the hunt for a new game, a new system, a new setting. He has a massive library of games, but has never played or even attempted to run 90 of it. When he does convince himself to run a game, it rarely lasts more than a few sessions before he gets bored and he abandons it to stare dreamy eyed at whatever new purchase he has made. I have a friend who refuses to play anything but Dungeons and Dragons, and only the newest edition... which means that I haven;t gamed with him since they switched to 4rth edition. I could grin and bear it with 3rd and 3.5, but 4th edition is most definitely a system I cannot enjoy even on player basis. Not knocking it, just saying it has nothing to offer me. But for me, its always Cyberpunk. The setting of Cyberpunk, and the Interlock system (well updated to IU) are so perfect for me, the hit me on such a visceral level, that nothing else even comes close. Hell, my love for the system was what led to the creation of IU in the first place, because I wanted to be able to use the system to run other genres every now and then. So... according to the man himself, Mike Pondsmith, the reason Datafortress 2020 exceeded its bandwidth, is because he told the members of CD Projeckt Red, the guys working on the official Cyberpunk 2020 video game, to check out my site. That is the greatest compliment I have ever received. The idea that something I have written may be used as inspiration in the game has me jumping up and down and grinning like an idiot. He also made me an offer I would be an idiot to refuse, but I am gonna keep that one to myself until it actually happens. Okay, an announcement has been made that has the online CP 2020 community soiling themselves and myself, well... lets just say whats filling my pants is even more unspeakable. At the presentation it was promised that the game would be mature, non-linear, and feature a host of weapons, gadgets, implants and toys. If this doesn't invigorate the line again, I can't imagine anything will. For years I have dreamed the dream of having my name published in an R. Talsorian book, and after V3 that dream looked not just foolish, but hopeless, as R. Talsorian went pretty silent on the silent. But now, for the first time in years, a tiny candle has been lit that makes that dream just a little less foolish than it was yesterday. I cannot wait for this game. Saints Row 3 had me more excited than I had ever been for a video game, it was to be the closest thing to a perfect video game the world had ever seen, and as near to a Cyberpunk 2020 game as I thought would ever come about, what with the aerodynes and all in a GTA style sandbox game. But Saints Row 3 utterly disappointed me by being so ridiculously silly and juvenile. 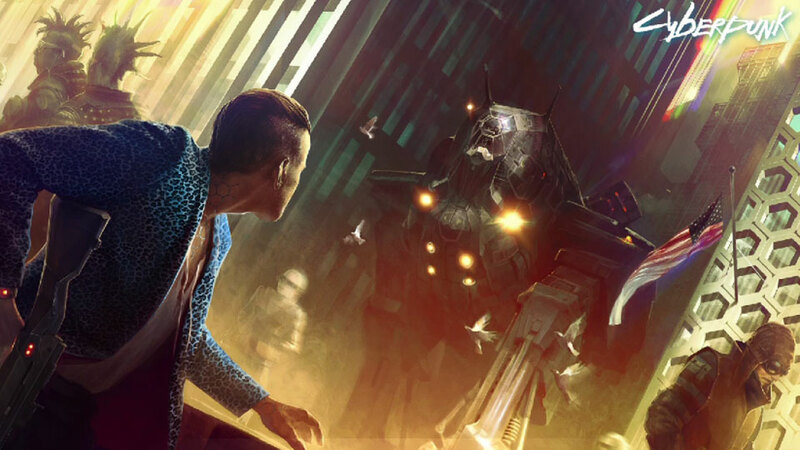 It left me pretty depressed about video games as a whole and the direction the industry is headed Little did I know, that I would be soon staring at a future where an official Cyberpunk 2020 video game would be a reality. Somehow, on May 22nd 2012, Datafortress 2020 was hit for over 2.14 gig of bandwidth in one day. I have no idea how this happened, as I have never seen anywhere near that amount of traffic in a month, much less in one day. So the sight was temporarily suspended until Yesterday. But we are up again and running, and all is well. I was also receiving messages that some people were getting warning errors for malicious content when going to my site. I have gone through and deleted anything that even looked like it might even think about causing an issue, and I am happy to say that according to my sources the problem has been solved. Hoooray. Anyway, things are up and running again, enjoy and sorry for the inconvenience.